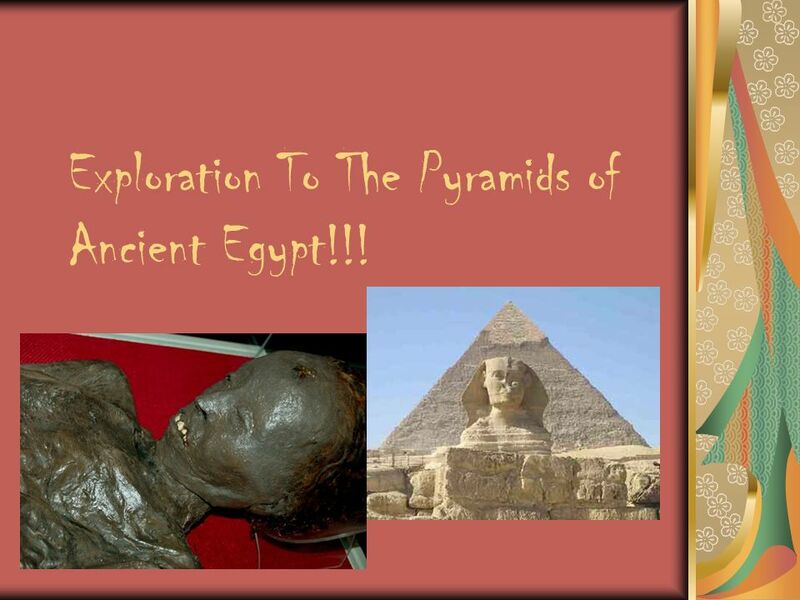 Exploration To The Pyramids of Ancient Egypt!!! 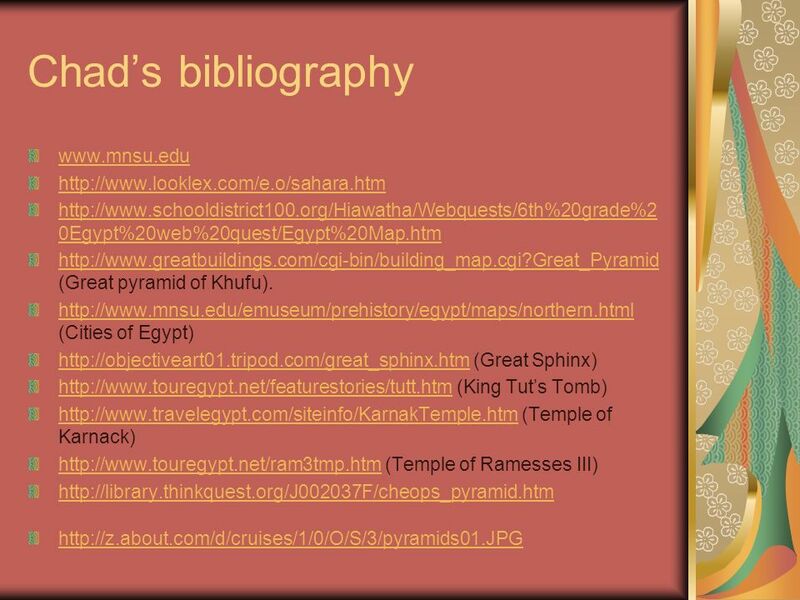 1 Exploration To The Pyramids of Ancient Egypt!!! 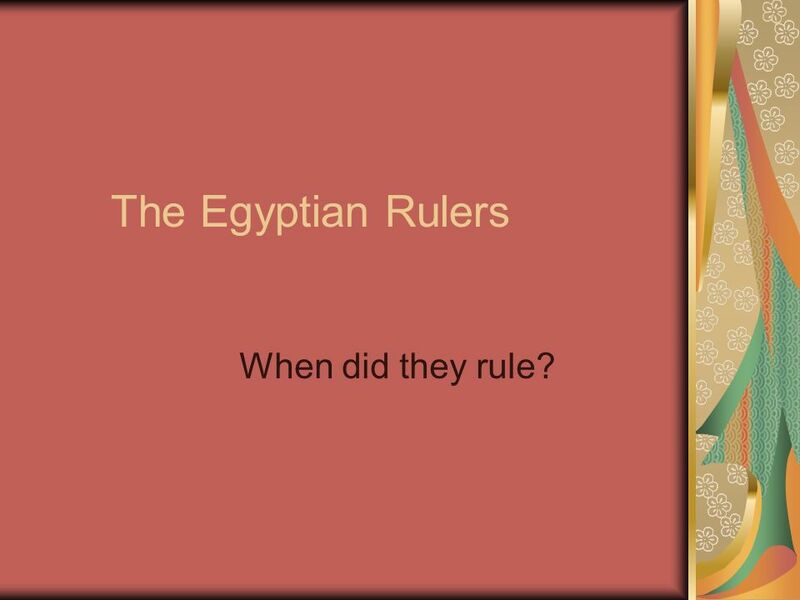 3 The Egyptian Rulers When did they rule? 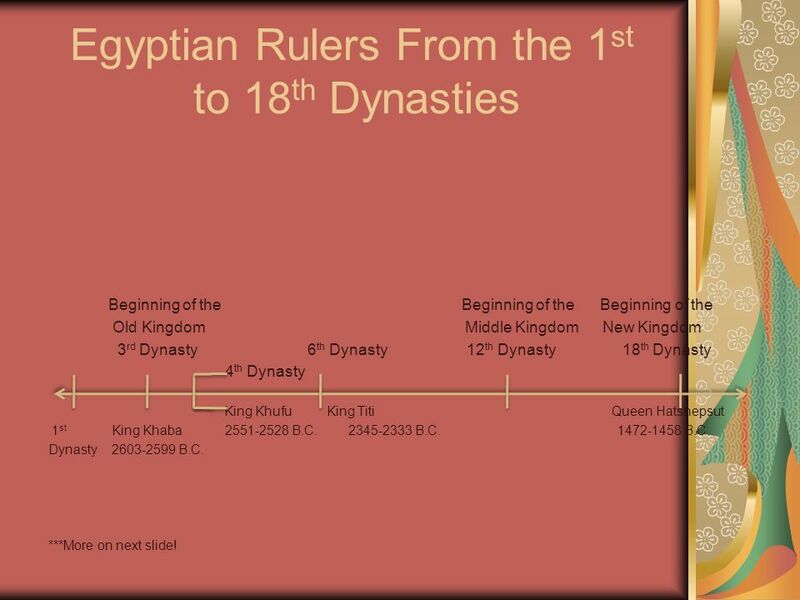 Beginning of the Beginning of the Beginning of the Old Kingdom Middle Kingdom New Kingdom 3rd Dynasty th Dynasty th Dynasty th Dynasty 4th Dynasty King Khufu King Titi Queen Hatshepsut 1st King Khaba B.C B.C B.C. 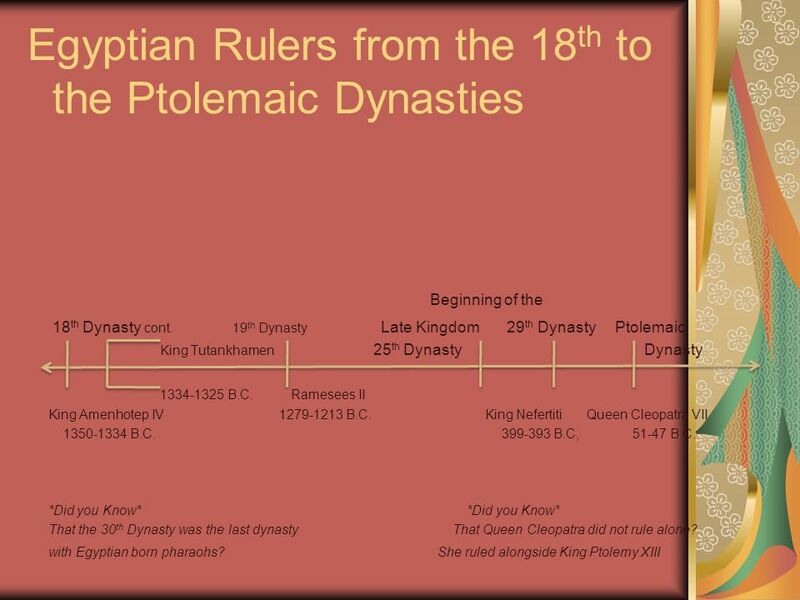 Dynasty B.C. ***More on next slide! 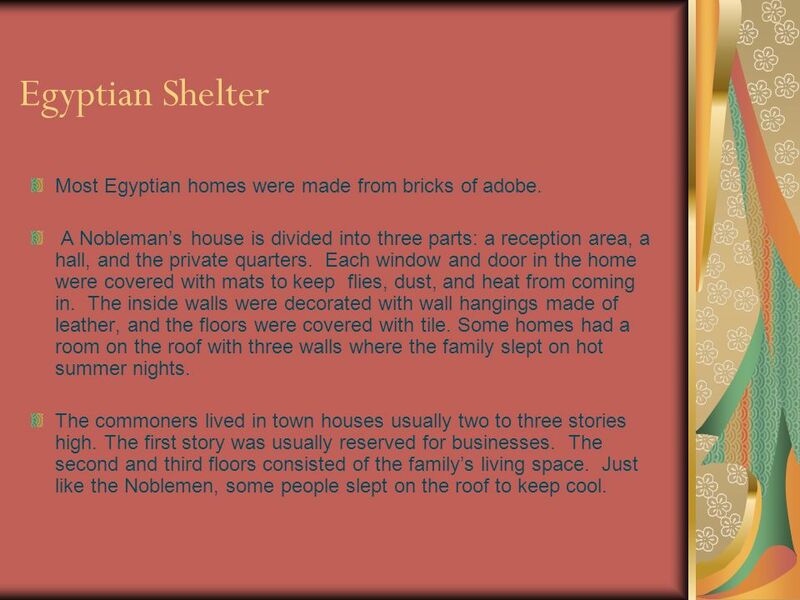 10 Egyptian Shelter Most Egyptian homes were made from bricks of adobe. 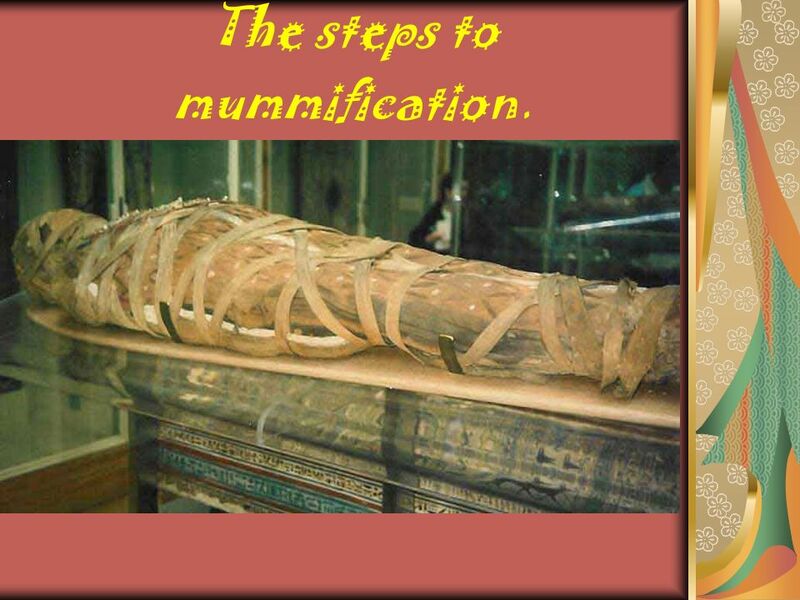 13 The steps to mummification. 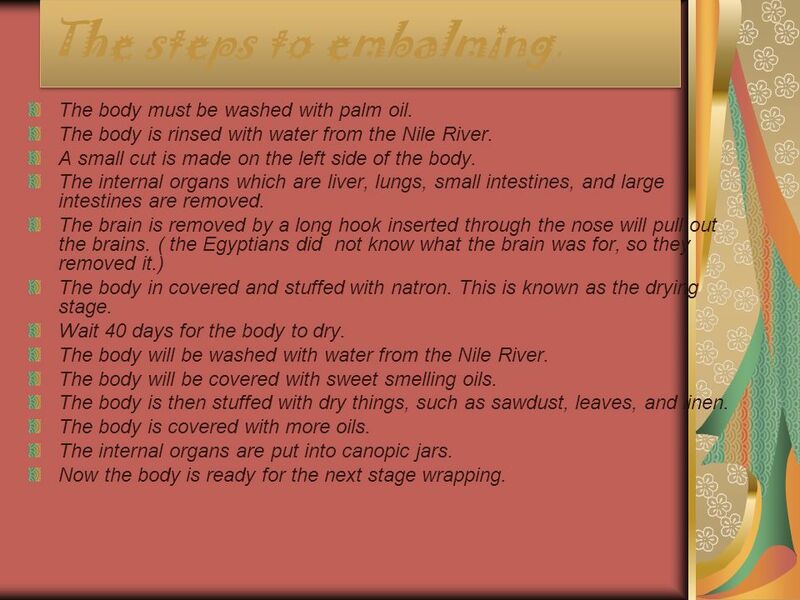 14 The steps to embalming. The body must be washed with palm oil. 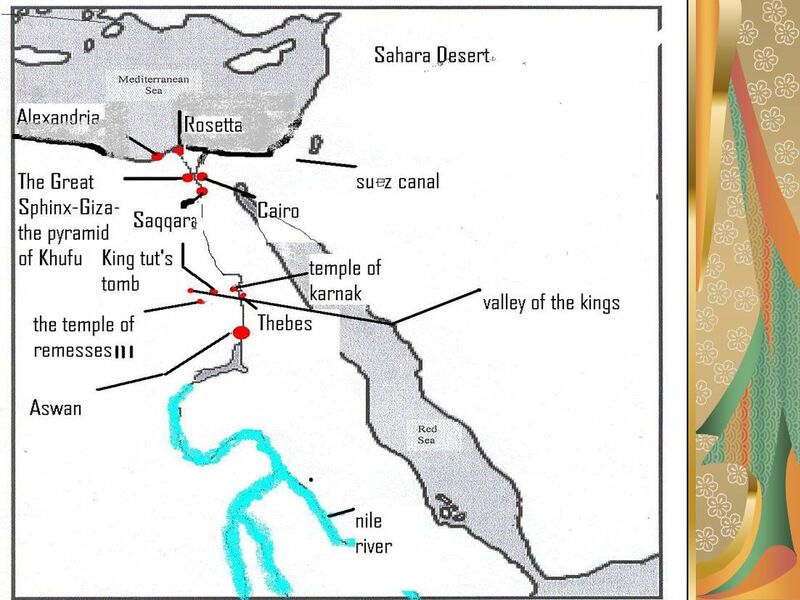 The body is rinsed with water from the Nile River. A small cut is made on the left side of the body. The internal organs which are liver, lungs, small intestines, and large intestines are removed. The brain is removed by a long hook inserted through the nose will pull out the brains. ( the Egyptians did not know what the brain was for, so they removed it.) 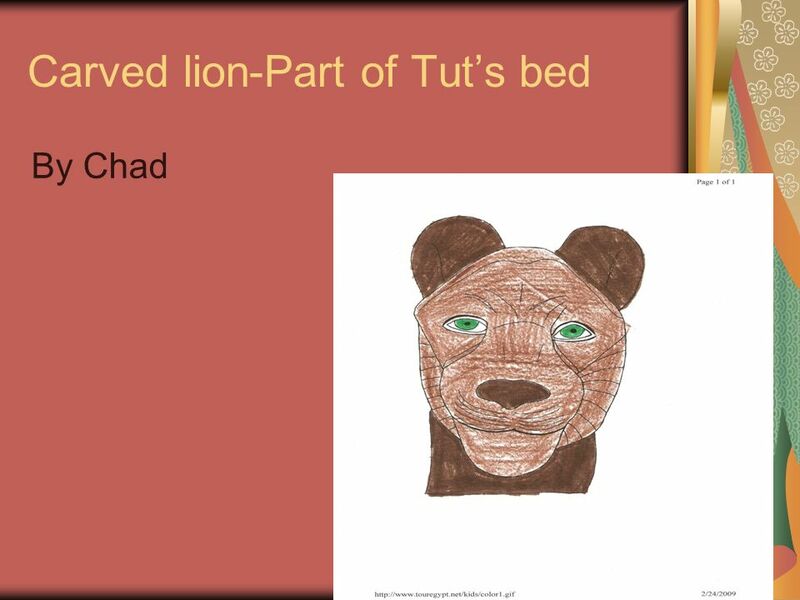 The body in covered and stuffed with natron. This is known as the drying stage. Wait 40 days for the body to dry. The body will be washed with water from the Nile River. The body will be covered with sweet smelling oils. The body is then stuffed with dry things, such as sawdust, leaves, and linen. The body is covered with more oils. 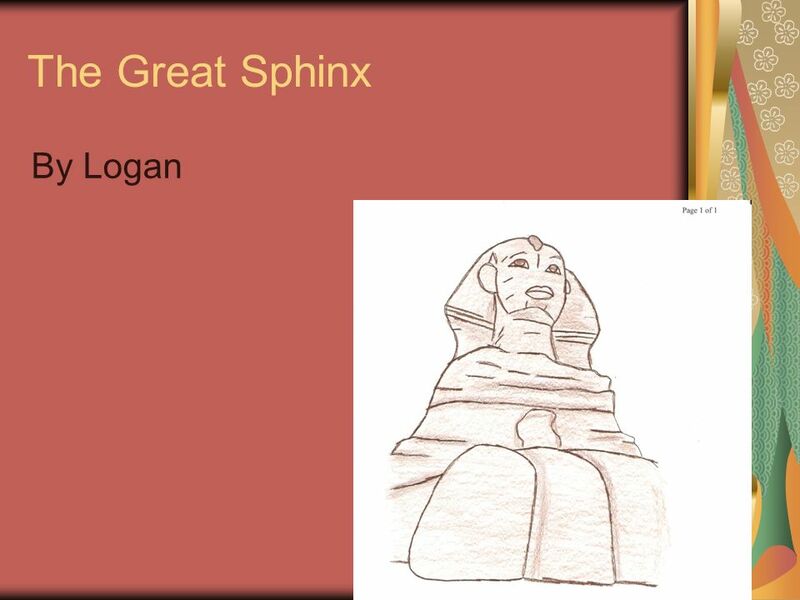 The internal organs are put into canopic jars. Now the body is ready for the next stage wrapping. 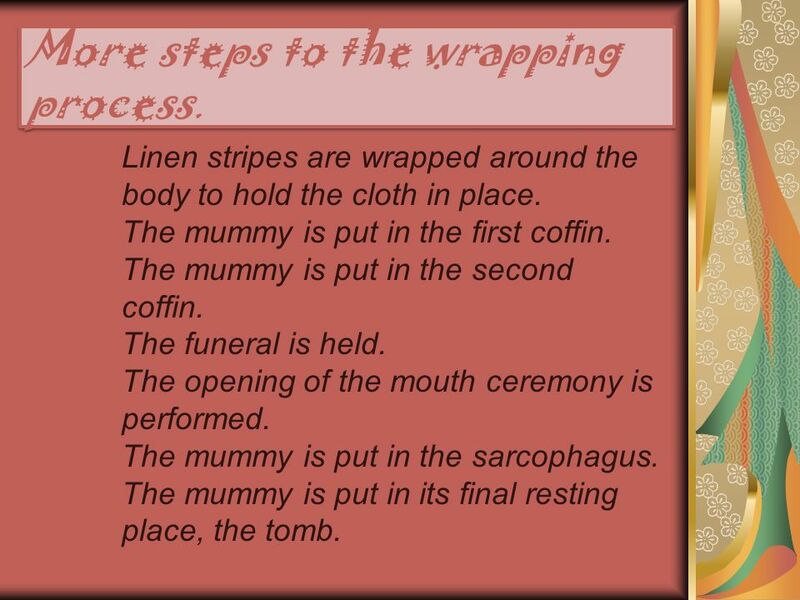 15 The wrapping of the mummy. The head and neck are wrapped. The fingers and toes are wrapped. The arms and legs are wrapped. The sacred amulets are placed. The Isis knot, and the Plummet. The spells from the book of the dead are read. The arms and legs are tied together. A scroll is placed between the hands of the deceased. The full body is wrapped. The body is painted with liquid resin as glue. 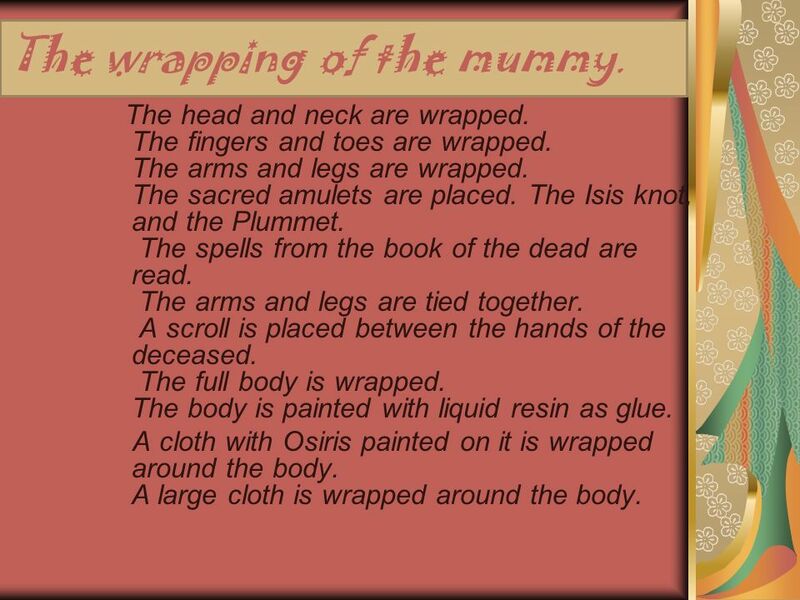 A cloth with Osiris painted on it is wrapped around the body. A large cloth is wrapped around the body. 16 More steps to the wrapping process. Linen stripes are wrapped around the body to hold the cloth in place. The mummy is put in the first coffin. The mummy is put in the second coffin. The funeral is held. The opening of the mouth ceremony is performed. The mummy is put in the sarcophagus. The mummy is put in its final resting place, the tomb. 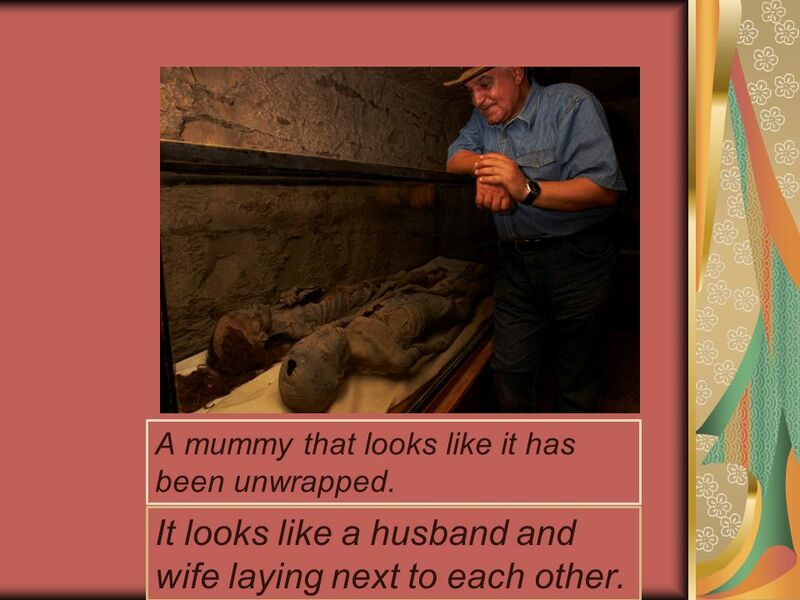 17 A mummy that looks like it has been unwrapped. It looks like a husband and wife laying next to each other. 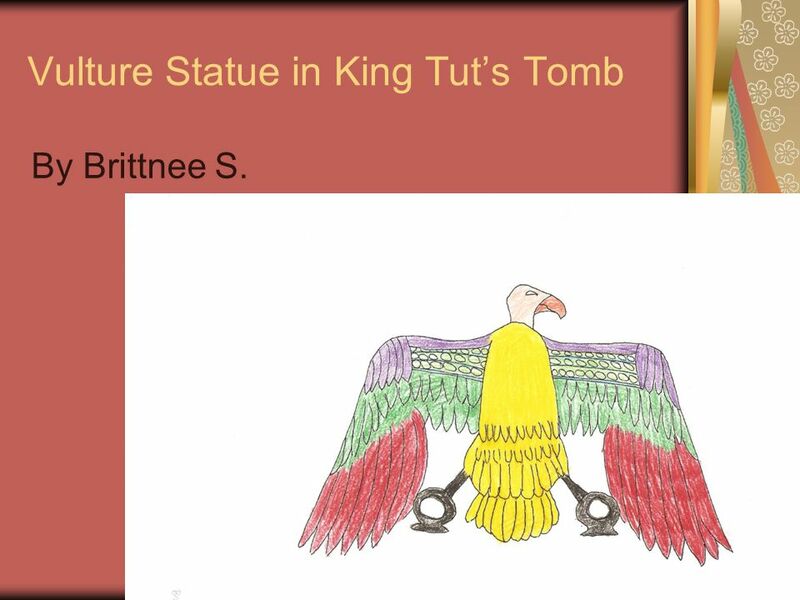 22 Our Names in Hieroglyphics cont. 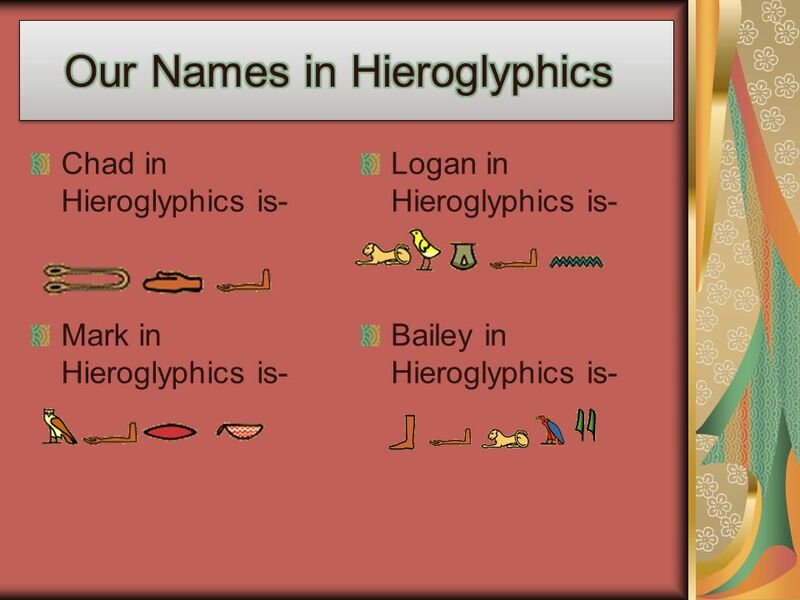 Brittnee in Hieroglyphics is- *Did you know* That just a “z” typed into the hieroglyphic generator translates to a “door bolt”? 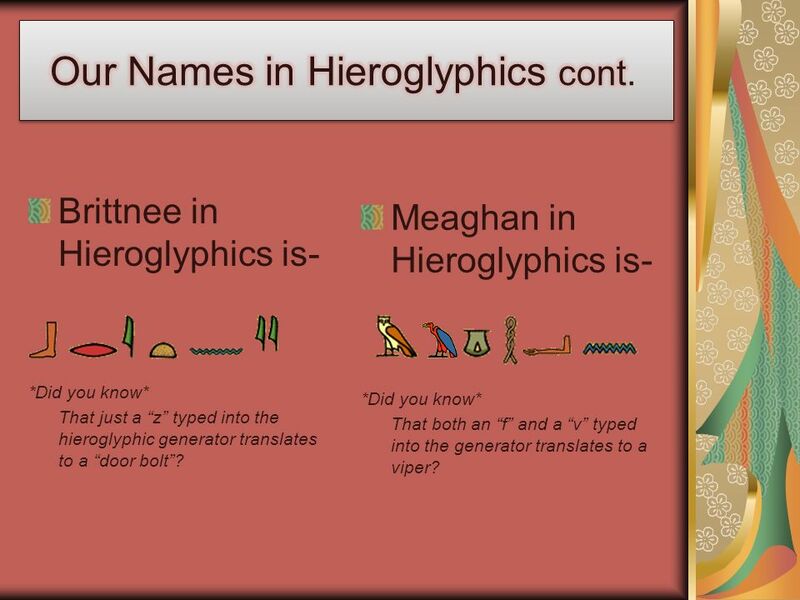 Meaghan in Hieroglyphics is- *Did you know* That both an “f” and a “v” typed into the generator translates to a viper? 23 The Rosetta Stone This is a picture of the real Rosetta Stone in The British Museum in London. It was very difficult to take pictures of it because of the glass and all of the people pushing and shoving to get a better view. 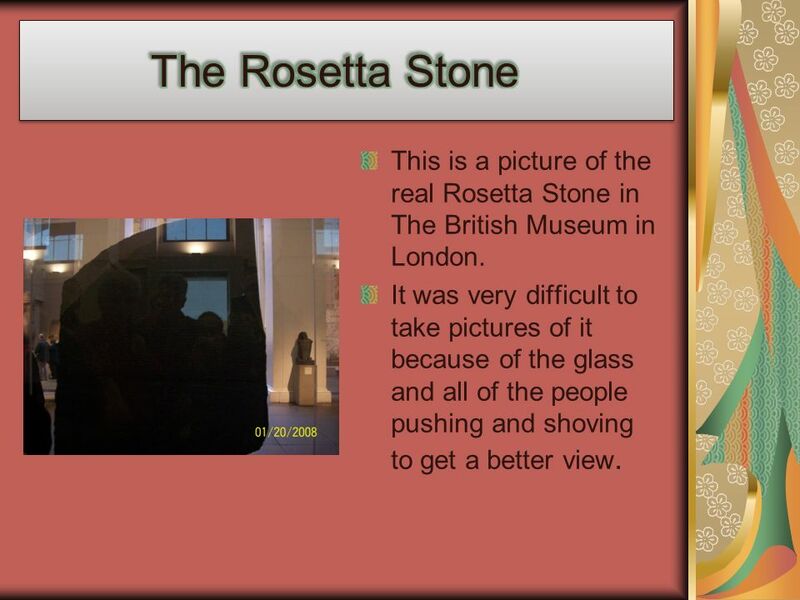 24 Rosetta Stone cont. 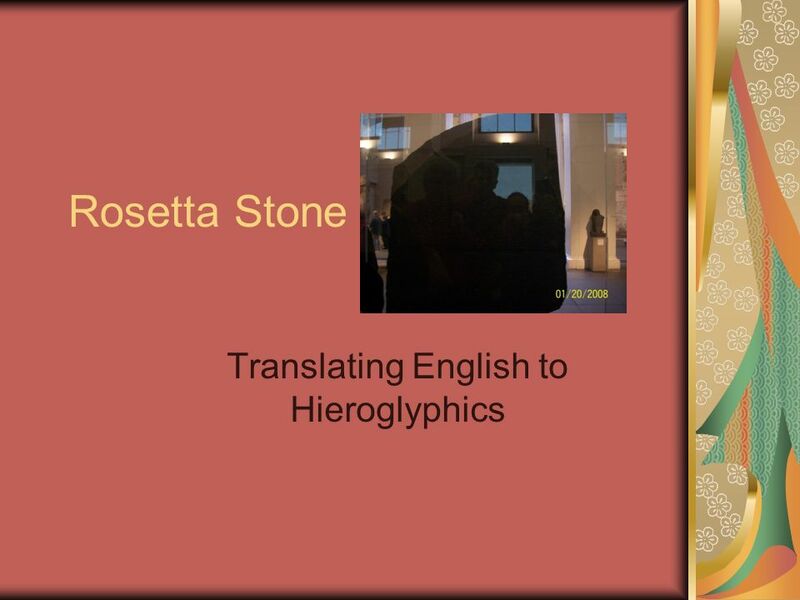 The Rosetta Stone has three different languages on it. 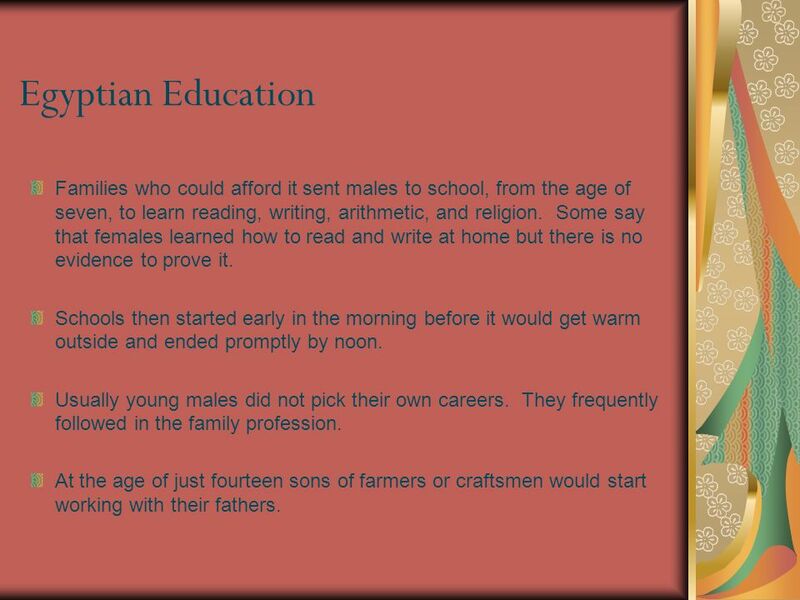 They are Latin, Dalmatic, and of course Hieroglyphics. When found, the Rosetta Stone helped uncover Hieroglyphics for the first time. 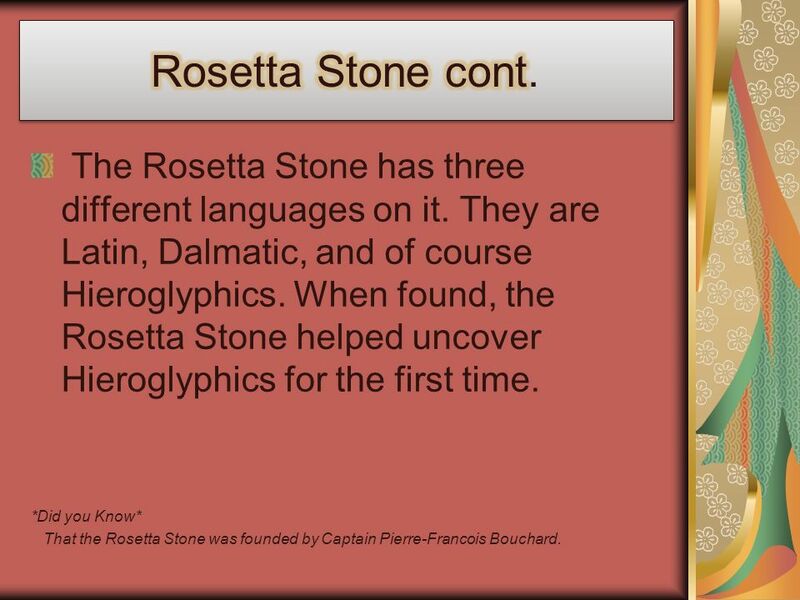 *Did you Know* That the Rosetta Stone was founded by Captain Pierre-Francois Bouchard. 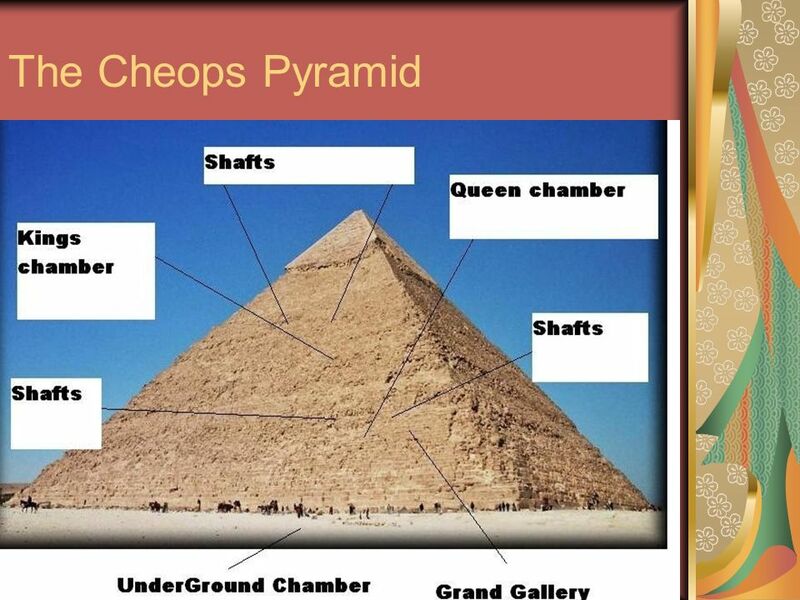 26 Cheops Pyramid cont. 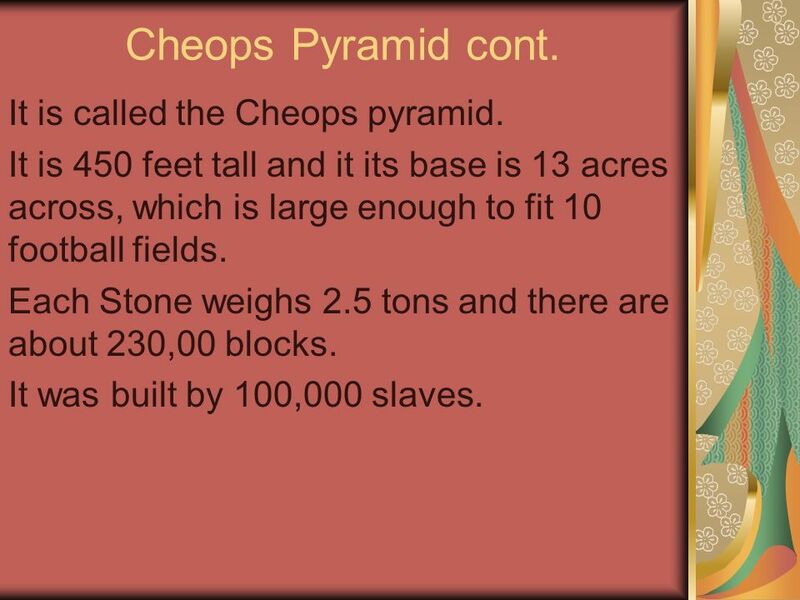 It is called the Cheops pyramid. It is 450 feet tall and it its base is 13 acres across, which is large enough to fit 10 football fields. Each Stone weighs 2.5 tons and there are about 230,00 blocks. 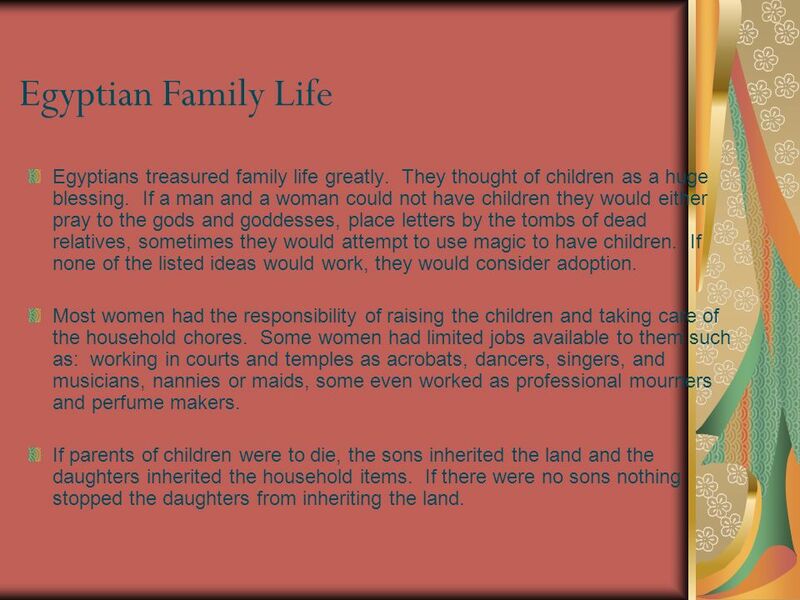 It was built by 100,000 slaves. 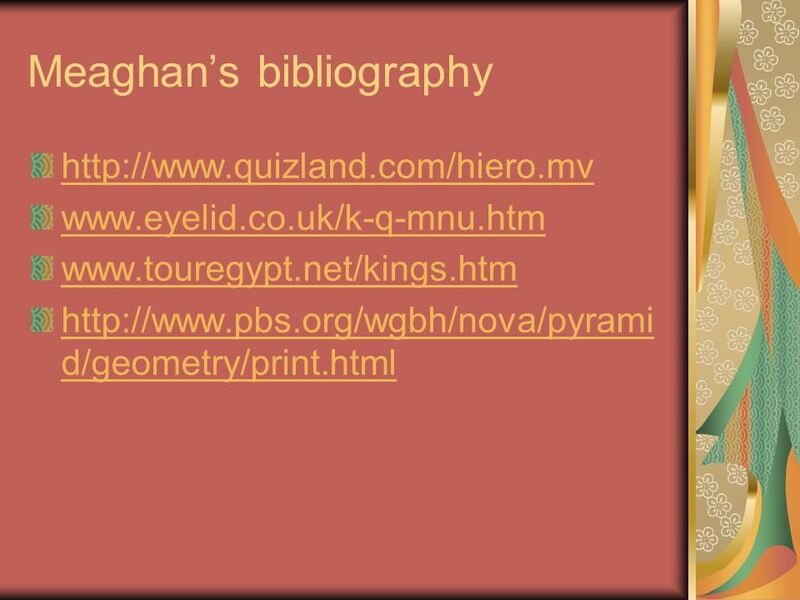 Download ppt "Exploration To The Pyramids of Ancient Egypt!!!" 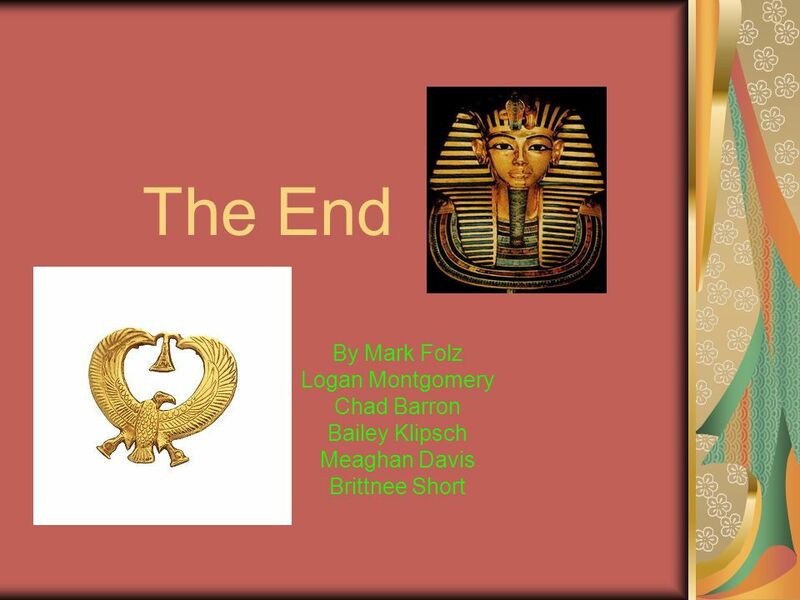 Chapter 2, Section 2 Egypt’s Old Kingdom. 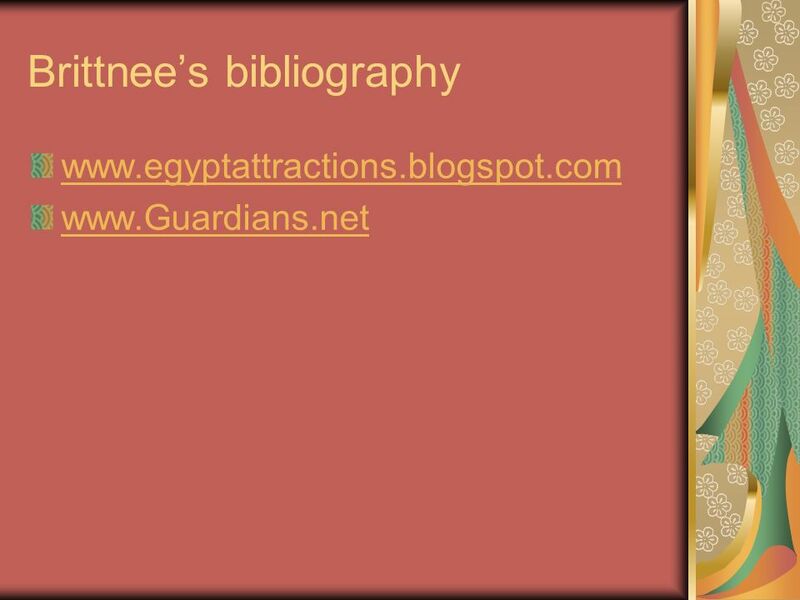 Enjoy Our Show On Ancient Egypt!!. Our Job in Ancient Egypt Our job is being slaves. We live in our owners house. We men wear skirts called a kilt and. 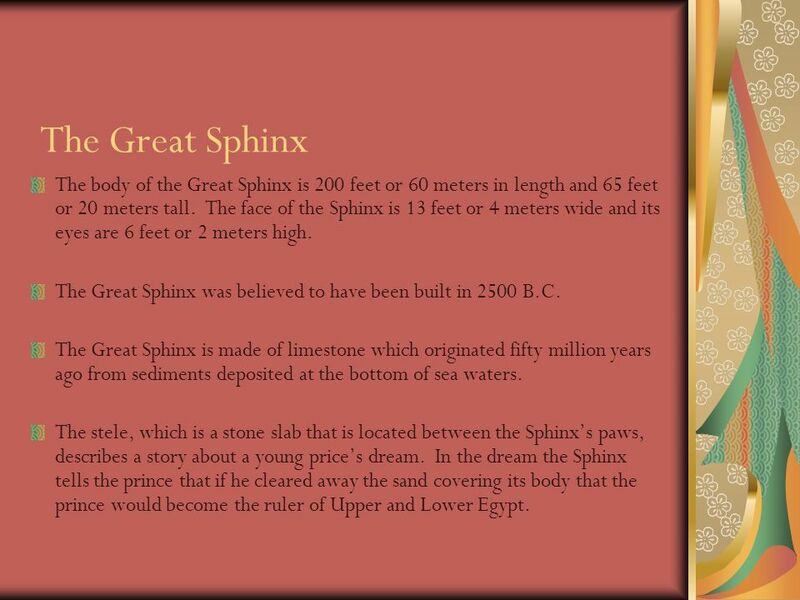 Ancient Egypt The greatest civilization. Today's life is a great life. We have many convenient things. For example, we have electricity. We have cars. 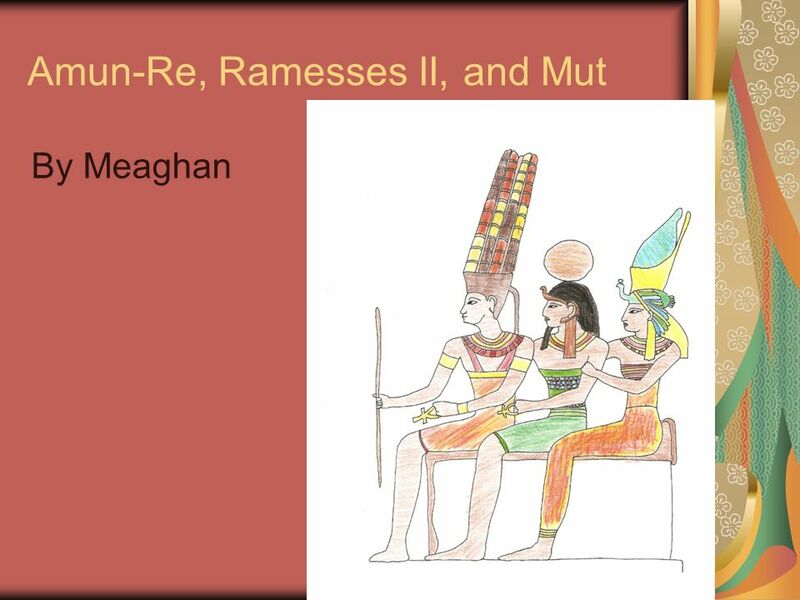  Mummies are the preserved bodies of people or animals. 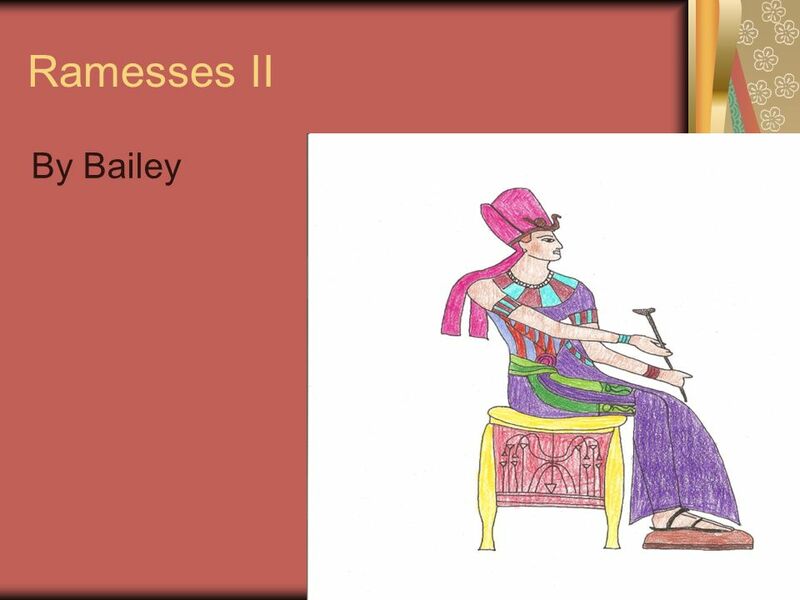 The word was first used to describe the bandaged bodies of Ancient Egyptians. But any dead. 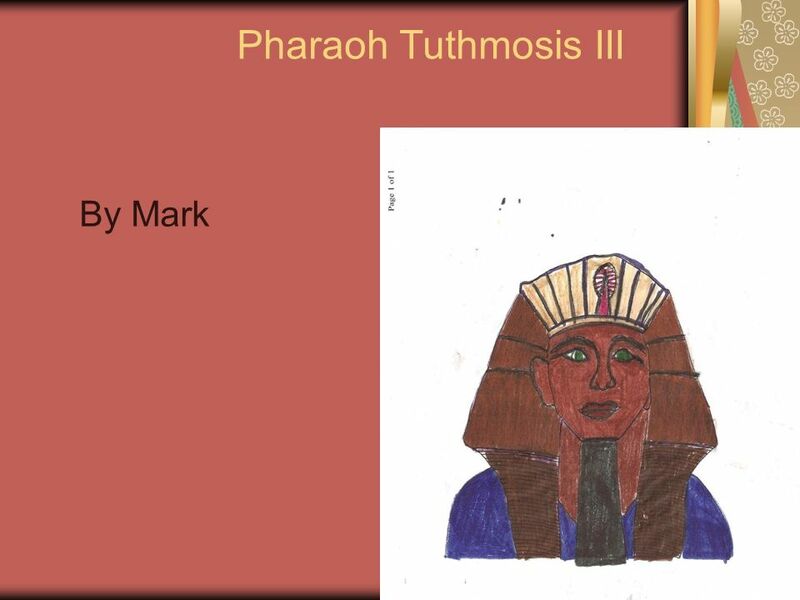 Pharaoh’s Burial Contract. 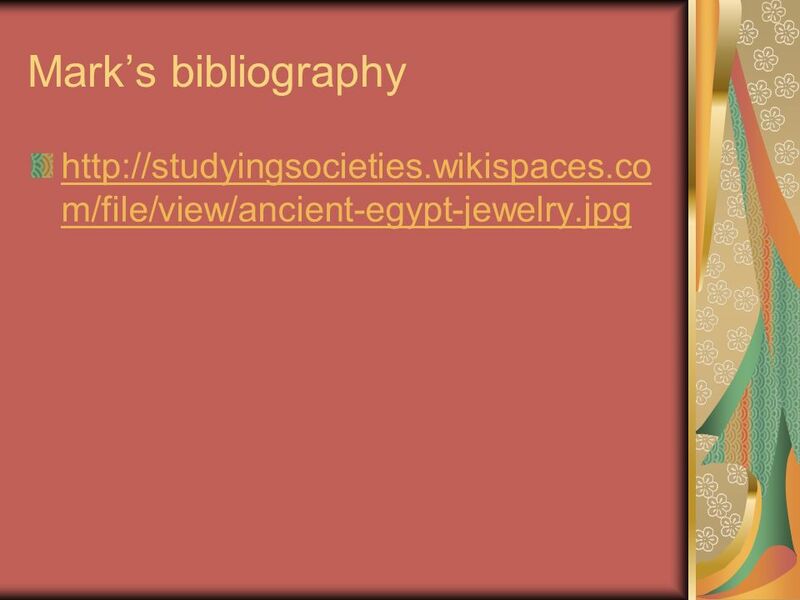 Items To Be Used Palm Wine Water from the Nile Natron Long hook Linen Sawdust Scented oils 4 Canonic jars Amulets Book of the. Mummification Egypt. General Information Earliest Egyptians were buried in pits in the desert. The heat from the sun and the salt in the sand dehydrated.